2. Click on CHANGE PASSWORD. 3. 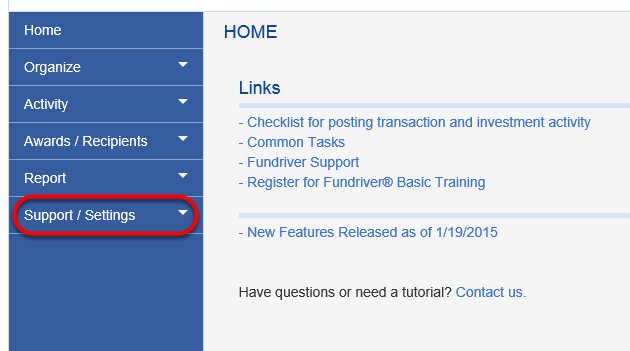 Select user name from drop down. 4. 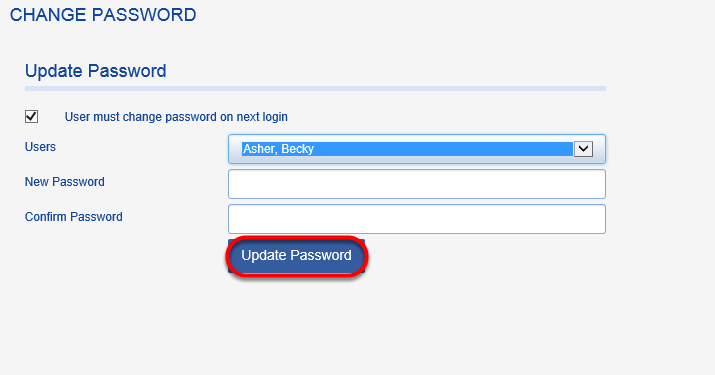 Enter new password and confirm it. Â Click on UPDATE PASSWORD. 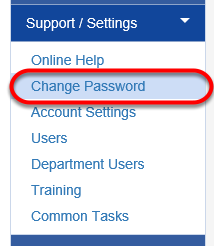 If you are changing the password for a user other than yourself, check the "User must change password on next login" box so that the user can create a custom and private password the next time they log in.